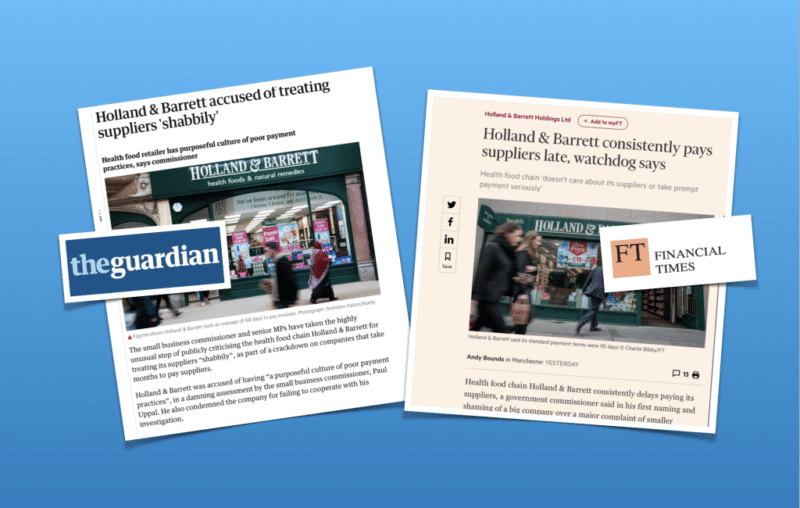 Leading health food retailer Holland & Barrett (H&B) has been accused of operating a ‘purposeful culture of poor payment practices’ by the Small Business Commissioner. The retailer was investigated by the Commissioner after a small business complained that an invoice for a search engine optimization project took 67 days to be paid. H&B had previously been brought to the attention of the Small Business Commissioner (SBC) after the company was named by the Parliamentary Business, Energy and Industrial Strategy (BEIS) Select Committee into payment practice. As a result, the SBC contacted H&B to discuss its payment practices, but says the company refused to meet with the Commissioner. Following its investigation the Commissioner said he suspected there was a ‘purposeful culture of poor payment practices’ at H&B. Analysis by the Commissioner of HB’s payment practice reporting (PPR) data highlighted that the ‘company takes an average of 68 days to pay its invoices and that 60% of invoices were not paid within agreed terms’. 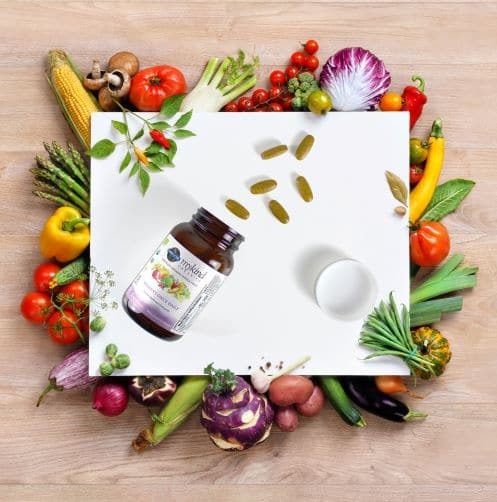 Paul Uppal, SBC, comments: “Holland & Barrett’s refusal to co-operate with my investigation, as well as their published poor payment practices, says to me that this is a company that doesn’t care about its suppliers or take prompt payment seriously. In a press statement H&B says: “Our agreed payment terms are a standard 90 days, although in fact our average payment time is around 60 days. This is a single complaint and is in relation to one invoice for £15,000 for an IT supplier that was lost in our payment process in the run-up to the busy Christmas period. Once we established what had happened we resolved it very quickly. 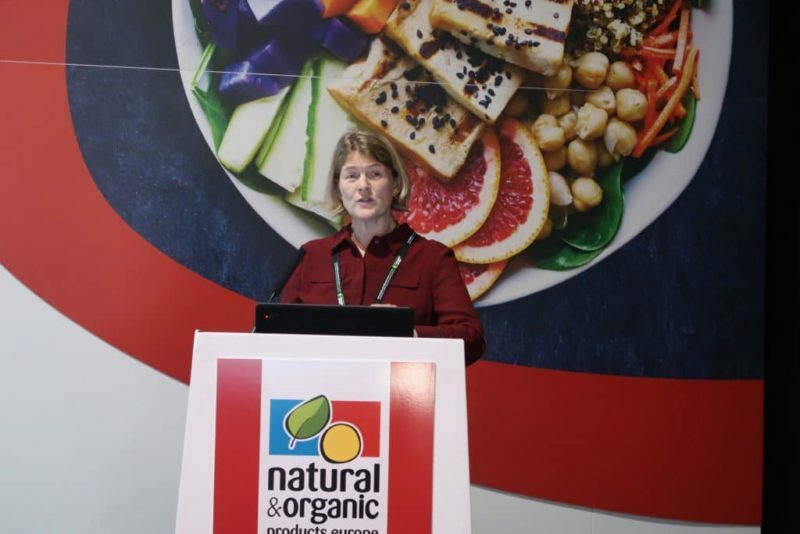 At this week’s Natural & Organic Products Europe exhibition, the supermarket regulator Christine Tascon told a seminar audience that she had heard anecdotally that some national retailers, who currently fall outside of the scope of the Groceries Supply Code of Practice (GSCOP), ‘talk openly about making hay while the sun shines, and agreeing that for as long as they are not regulated, will carry on as they always have done’.